Thing of the Week: MakerBot Customizer Challenge with 3 MakerBot 2X prizes! 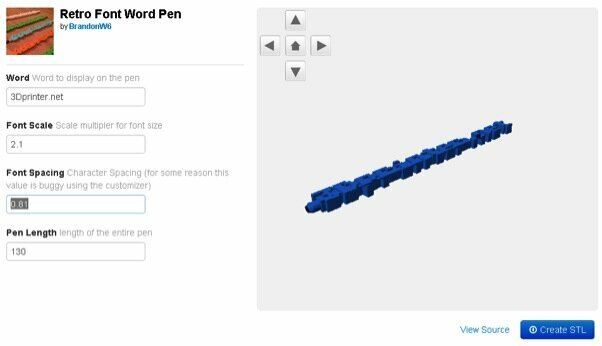 A couple weeks ago Thingiverse announced their API release for building apps, and now MakerBot Customizer has been released. And there’s a contest to make customizable things, with three winners receiving MakerBot 2X Experimental Printers! You can enter as many things as you like into the three categories: Useful, Wearable, and Artistic. From the webpage, “Designs will be considered subjectively by the judges and objectively by the number of times people use your design to create new things. There will be one winner per category.” To get a customizable thing onto Thingiverse, read this. 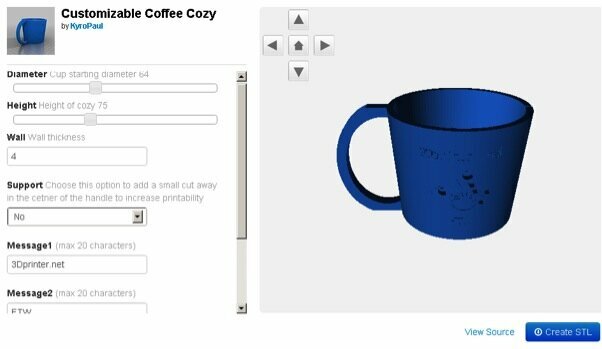 OpenSCAD is supported, though, which is a free modeling program that constructs watertight objects out of simple (or complex) mathematical scripts, so you’ll need to know how to operate it. You have until March 8th to enter things into the contest, and if you’re planning to enter, you should see some of the competition you’ll be up against. 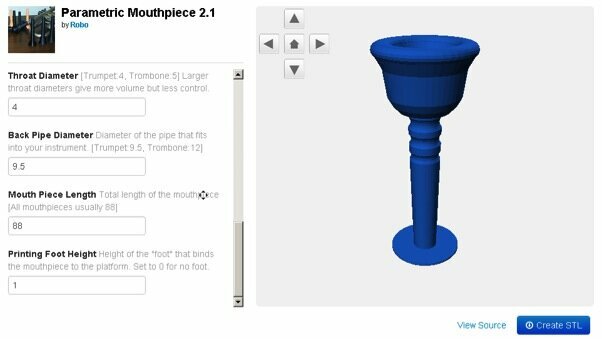 With this Customizer, whistles of different sizes, and therefore pitches, can be printed. Text can be added too, so names, or, after some trial and error, the corresponding note of the whistle could be displayed. Whistles over 40 or so millimeters in radius were glitching as shown; I’m sure it will be quickly resolved. The rest worked fine. If this isn’t useful, I don’t know what is. Having “irregular” feet is pretty common and just as frustrating and expensive. 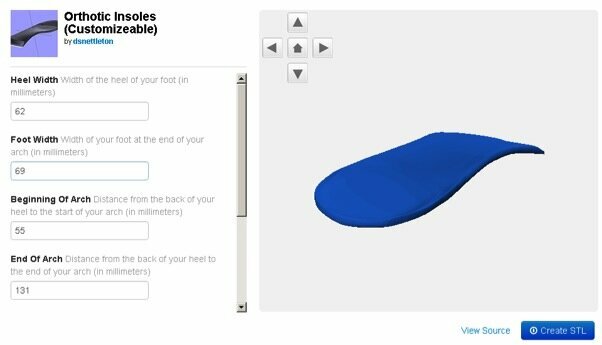 Being able to customize insoles by the foot allows for more comfort, and being able to print them for pennies lets you have them for every pair of shoes. 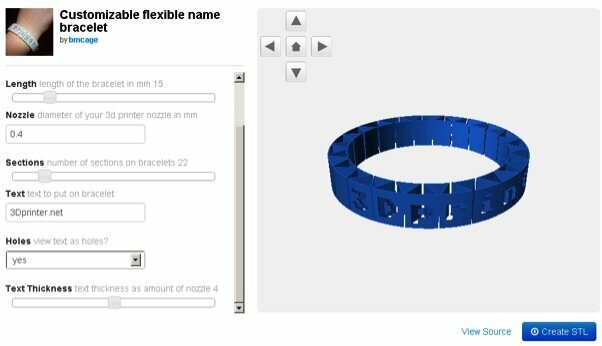 A bracelet that can have your name or allergies. 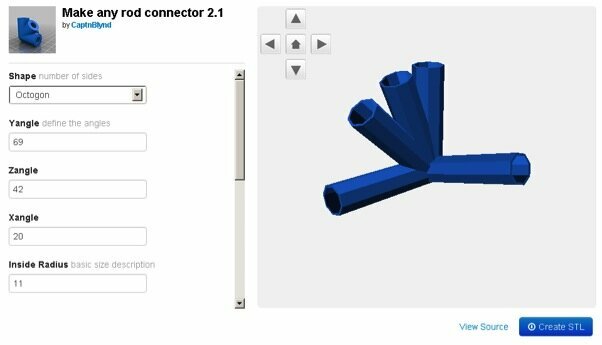 A rather customizable connecting tool, with options to adjust for variously shaped rods, angles, and the amounts and sizes of connections. This tool could be immensely useful for building frames, but the one I made would work well as a pen holder. It could hold a pen like this. This was last week’s Thing of the Week before it was customizable, so now it’s even more awesome. You can get just the right noise by setting the parameters as you please, for a bright tone or a full sound. 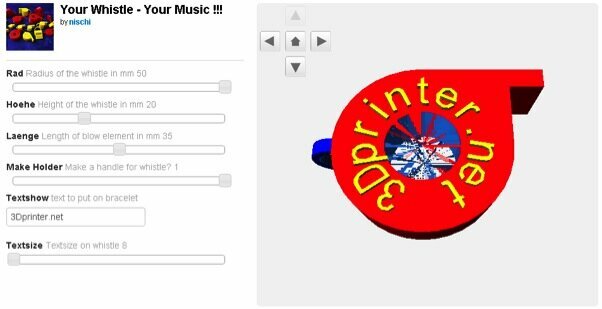 This could save the brass section thousands of dollars if your school gets a 3D printer, so write to your student council. There are plenty of other great customizable things, but the most useful, wearable, or artistic might be yours. So get to scripting and win a MakerBot!